2nd Gourmand Win for Chef, Andrew Pern and Designer, Anthony Hodgson. Yorkshire -based Chef, Andrew Pern, of The Star Inn, Harome, North Yorkshire, and Designer, Anthony Hodgson of Leeds, are thrilled that their second Cookbook, “Loose Birds & Game”, has been named as ‘The Best Chef Cookbook’ at the Gourmand World Cookbook Awards for the UK. I have yet to review this substantial book, but it sits proudly on my shelf, and has opened my eyes to all that is Game (and Loose Birds). 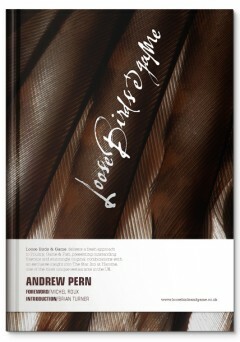 No blood and guts in this book, but it is overflowing with stunning, beautiful pictures, showcasing Andrew’s talents, with recipes for every conceivable bird, general game plus some poultry, fish and shellfish. It is certainly a book to open everyone’s eyes as to how to cook and enjoy game, more freely available than we often realise. This 2nd Gourmand win for Andrew and Anthony follows on from the amazing success with their first publication, “Black Pudding & Foie Gras”, (see Review in ‘Book Reviews’ above), which in 2009 won the prestigious ‘Best Chef Cookbook’ for the UK in the Gourmand World Cookbook Awards. Invited by the Gourmand Awards to a wonderful evening at the Comedie-Francaise in Paris, Andrew and Anthony spent a nail-biting evening before it was announced that they had won the Silver Medal for “The World’s Best Chef Book” in the Gourmand World Cookbook Awards. This has been followed by many prestigious Design Awards from around the world. Not bad going, lads! So, a 2nd Gourmand win for Chef Andrew Pern and Designer Anthony Hodgson. Whatever next? Fingers crossed for the awards ceremony, this year to be held at the Folies Bergere, in Paris. Can they win that coveted award once more? 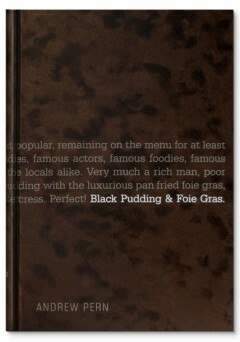 To find out more about the cookbooks, or to buy signed copies, click here on Face Publications. For more information on The Star Inn at Harome, click here. I’m going to have to get these books, as I have been to The Star Inn and it is fantastic! !